Abundant housing opportunities, ample job options, walking trails, parks, excellent medical care, and a superior education system are all that make Elizabethtown, KY a perfect place for young adults, families, and retirees alike to live, work and play. Elizabethtown provides its residents with all the security and comfort of a small town but also allows for easy access to the highway system for easy commutes to larger surrounding cities. 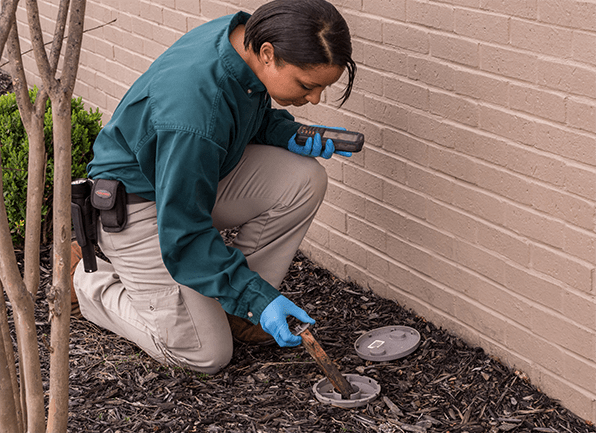 Like other Kentucky cities and towns, there are a wide variety of pests that call Elizabethtown home, these pests will take any opportunity to invade any home or business in order to gain easy access to food, water, and shelter. The professionals at Action Pest Control have a deep understanding of all the pests that are common to Elizabethtown. We can provide the pest control services required to protect your home, family, business, and/or customers from the dangers and damages that pests like ants, mice, spiders, termites, bed bugs, and more can cause! At Action Pest Control we have 4 options for residential pest control for our customers to choose from. Through any of our comprehensive pest control programs, your home will be protected from the common pests that also call Elizabethtown home. Essential pest control- This basic program provides customers with exterior pest defense services and cobweb removal. Advanced pest control- The advanced program provides customers with both exterior pest defense and interior pest treatments. It also includes cobweb removal, window sill vacuuming, the placement of exterior rodent stations, rodent control services, as needed pest proofing, unlimited services calls, and services that are fully guaranteed! Complete pest control- This program includes everything that is found in the Advanced pest control program, but also includes an annual attic inspection, termite monitoring services, and a termite inspection. Premier pest control- The Premier program is our most inclusive program and provides the most protection for your home. This program includes a termite warranty and termite treatment in addition to providing all of the pest control services that are found in the Complete pest control program. Pests don’t just stick to invading homes; they can and will just as easily invade a commercial establishment. In order to protect your facility, employees, products, and reputation from pest damages, it is important to be proactive and put into place a professional commercial pest control program. Action Pest Control provides customized pest control solutions to meet your facilities specific needs. Our highly trained, qualified, and experienced pest professionals provide exceptional pest protection for any commercial facility. To get started protecting your Elizabethtown business from dangerous, damaging, and nuisance pests, contact Action Pest Control today! Bed bugs can infiltrate any home or business in Elizabethtown, if you suspect that bed bugs have made their way into your property, call the bed bug control experts at Action Pest Control as quickly as possible. Before treatment begins we will perform a bed bug inspection using our highly trained bed bug detection dogs. Our dogs are specially trained to accurately identify any adult bed bugs, larvae, and/or eggs living in your home or business. If an infestation is discovered we will then provide fast and effective treatment through our heat remediation services. Immediate results without the use of harsh chemicals. Only one day of treatment (in most cases). Same day re-entry into your home. The peace of mind knowing that bed bugs are unable to survive these heat at these temperatures. All stages from eggs to adults living in your home will be killed through the use of heat remediation. For more information about using heat remediation to eliminate bed bugs from your property, or for information about eradicating bed bugs through the use of fumigation in commercial facilities, contact Action Pest Control today. By choosing Action Pest Control to eliminate and control pests in and around your Elizabethtown, KY property you are choosing a company that always has been and always will be dedicated to providing its customers with the very best pest control services available. We are committed to meeting the unique needs of each of our business and residential customers by providing customizable pest control services. Guaranteed 24-hour emergency service response. The convenience of online payment options. Environmentally friendly pest control options. Superior communication, including written service specifications. Are Fruit Flies a Threat in Your Louisville Home?